In previous years we have organized many weddings here at Islanna. Guests ate their wedding dinner at a long table and afterwards would dance on the leaf-covered floor of the barn. After requests from many wedding couples for a cozy place to celebrate their wedding night we considered various options until we listened to a radio show about how people of different cultures lived in a very special way, including in treehouses. Natives of Sri Lanka, Borneo, and any Indian tribe in South America were living high in the trees, making them calm and safe. Then we got our idea! Why not do the same in a Swedish style? Building a red house with white trim in an old, stable oak. 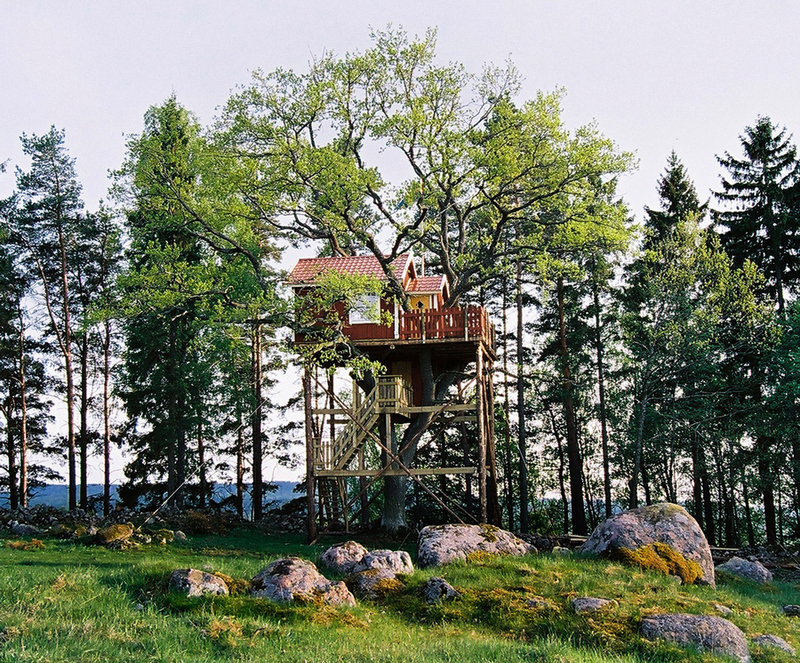 All our tree houses are drawn by Erik Ottosson Trovalla.